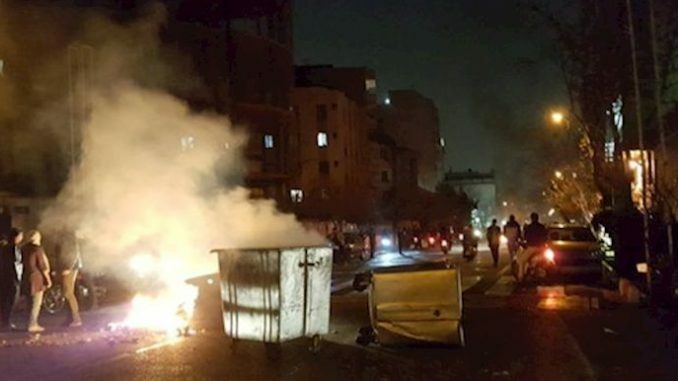 The new round of uprising in Iran has spread to many cities including the capital Tehran, Qom (the center of the clergy’s power), Gohardasht, and at least 10 other cities. 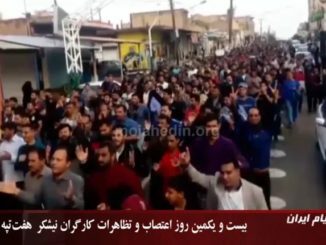 While the protests normally start with every new round of economic free fall, they turn almost instantly against the whole apparatus of the Iranian regime. “Death to dictator” and “Death to Khamenei” are becoming the bread and butter of almost every protest targeting the Iranian Supreme Leader, the highest figure in the Iranian political system. 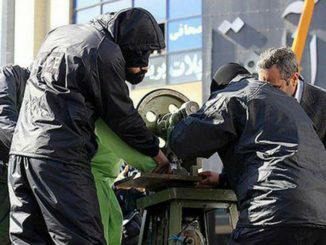 This Friday, during the routine prayers where officially appointed mullahs advance the regime’s viewpoint of the events across the country, the narrative surrounding the recent protests shifted toward acknowledging the people’s legitimate grievances while trying to strike off the political dissent that has gradually spread amongst Iranian people. Monafeqin (meaning hypocrites) is the derogatory term used by the Iranian regime’s propaganda apparatus to refer to the PMOI/MEK. On another note, Mohammad Khatami, the so-called former reformist president of Iran’s regime proposed a 15-point plan to exit the current situation, including listening to the protesters’ demands. In his remarks, he said that as long as the narrative of moderation is alive, there will be no room for regime change. This is while during the uprising, people chanted slogans such as “Reformists, Hardliners, game is over,” rejecting all factions of the regime and emphasizing that no moderate exists within the regime and that the regime is not reformable. 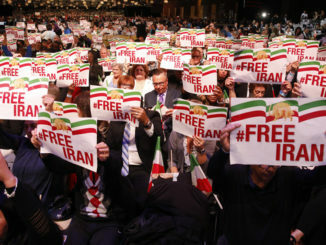 They also chanted “Down with Khamenei, Down with Rouhani” indicating their will to end the dictatorship in Iran. And that is exactly what the regime is scared of since the false hope of moderation from inside the regime is what has helped the Mullahs to divert protests and keep ruling. It is noteworthy that Khatami has a track record of proposing similar solutions—without delivering—at crucial moments in Islamic Republic’s history in an effort to increase hope for reforms from the inside. 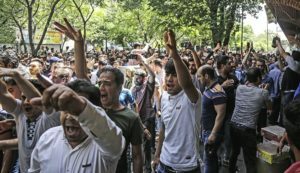 In December 2017 and early January 2018, when a new wave of popular protests in Iran became prominent, Khatami’s faction issued a statement saying that the Iranian people have legitimate economic grievances and are entitled to legal protests. At approximately the same time, but in another statement, Khatami, referring to protesters, famously said that even the youth that cried radical chants targeting the whole regime were not “Barandaz”. Barandaz is an Iranian term referring to someone who wants regime change. In response, a popular movement among Iranian users of social media started who called themselves “Barandaz” in direct opposition to Mohammad Khatami’s remarks. Many Iranians who want regime change in Iran still call themselves Barandaz. In the meantime, the Supreme Leader’s newspaper, Keyhan, accuses Rouhani’s government of obstructing the legal system in its efforts to root out the corruption that has to lead to the economic downfall. With Trump’s administration’s first package of new sanctions snapping back today, it won’t take much time before the next round of popular protests start. And it is interesting to observe how both the so-called moderates and the conservatives (hardliners) in the Iranian regime tried to show themselves aligned with the protesters while accusing each other.